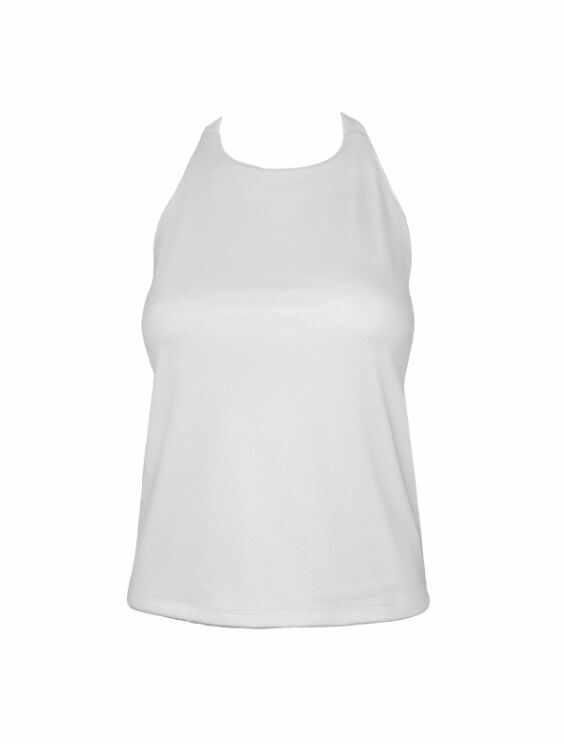 Categories: Breeze 2 T-Back Mesh Front Tank with Bra, Breeze 2 T-Back Tank with Bra, Tops. 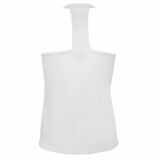 X-Small: 18", Small: 18 1/2", Medium: 19", Large: 19 1/2", X-Large: 19 3/4"
I love the material and style of this top. It’s very flattering on. 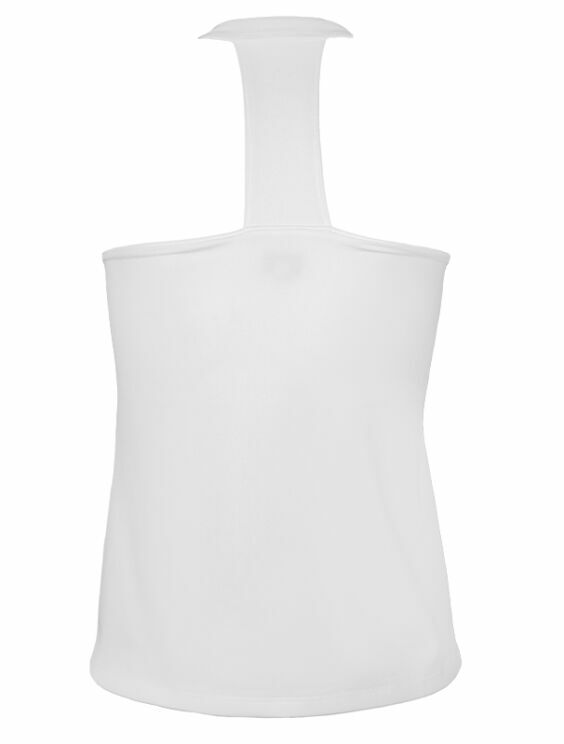 Medium for me @ 5’3″, 120 lbs. Four stars not five because the bra pads included weren’t that thick and the bra band is a bit too thick and constricts the space. I used competitor brand pads which don’t lay as flat as they should. The bra fit on the Strap Back Top is better. 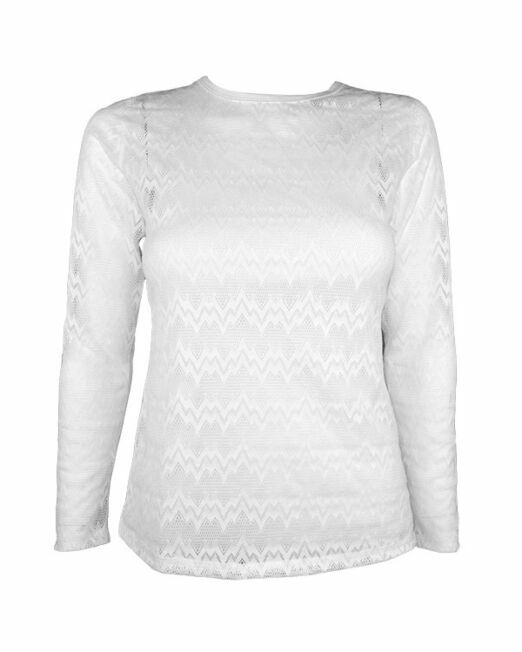 I love the material and style of this top. It's very flattering on. 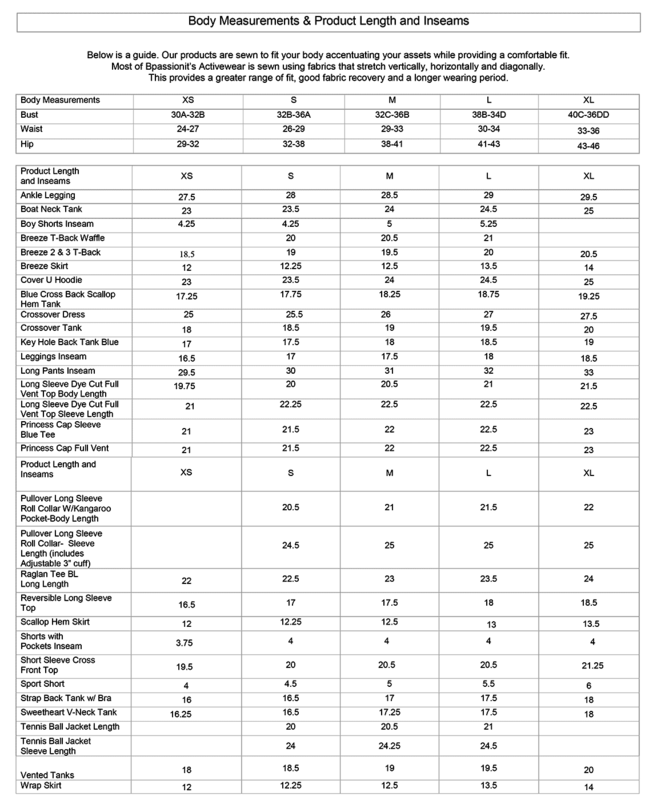 Medium for me @ 5'3", 120 lbs. Four stars not five because the bra pads included weren't that thick and the bra band is a bit too thick and constricts the space. I used competitor brand pads which don’t lay as flat as they should. The bra fit on the Strap Back Top is better. 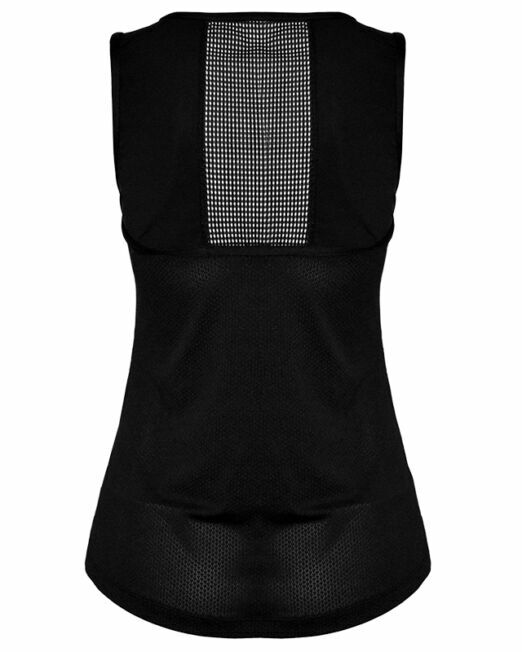 Same fit and function as our popular Breeze 2 T-Back Tank with Bra and removable pad. 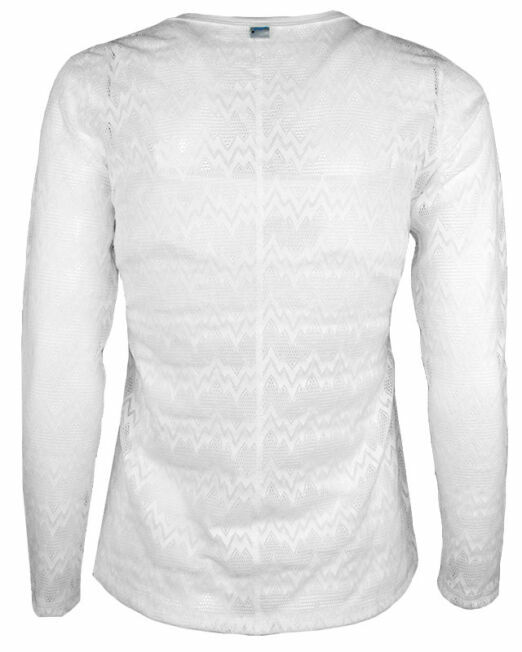 We’ve added a front layer of honey comb mesh to provide the coverage you seek when wearing white. 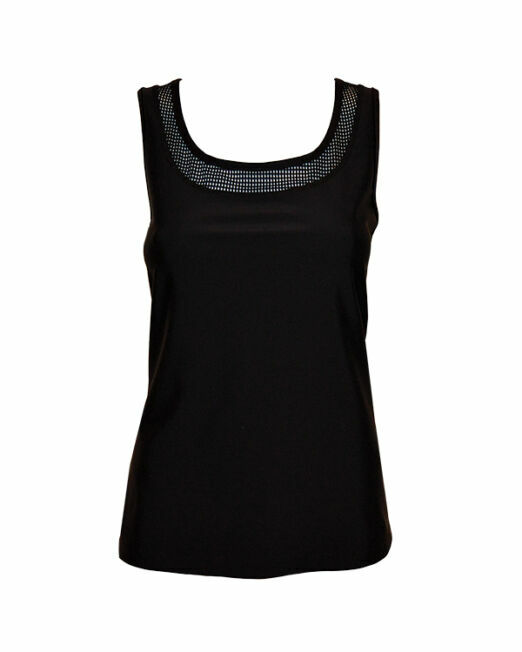 This top also has a 1 inch strap for added comfort and a center bra opening for easy access. 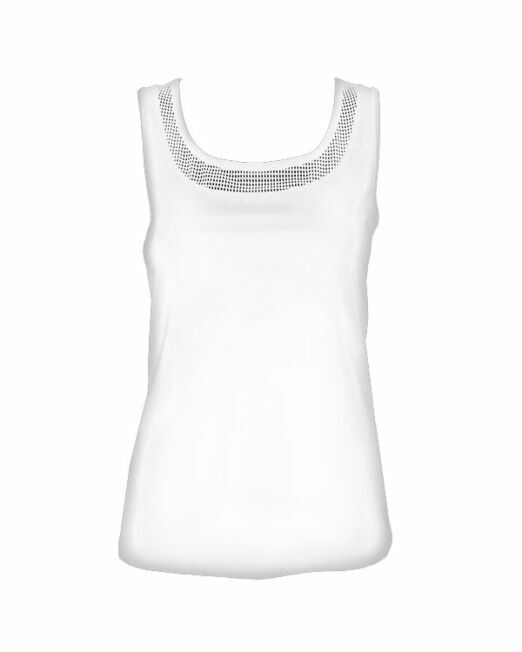 Semi-fitted lower, loose performance T-back tank offers full range of arm motion, sleek back, and comfortable inner bra. 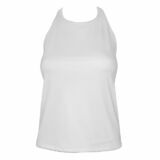 Ideal for tennis, running, fitness, or to rock your daywear attire. 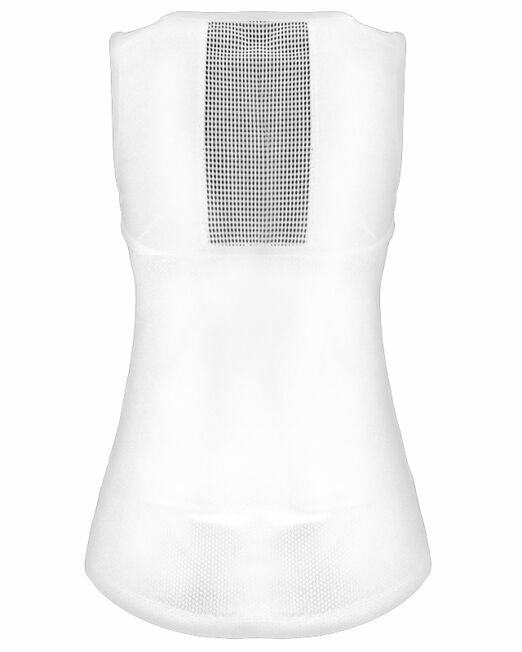 Pairs with our White Honeycomb Mesh Wrap Skirt, Cuff Shorts, Leggings, or one of our Breeze Skirts.